Cairo is a beautiful, magical, almost mythical city, crusted in antiquity and severely overcrowded. Navigating it in a car is an adventure at the best of times and likely to be a nightmare for the uninitiated most of the time, and let’s face it, uninitiated describes you. “Persistent traffic violations” would be a neutered way of describing pure vehicular anarchy. Public transportation is bad, there’s really no other way of describing it. The buses, bright red or green, are paralyzingly crowded and famously unreliable, although the metro is functional and more reliable, as long as you can read the Arabic-only signs. But what can you see on a metro? The thoroughly enjoyable, spectacular and immersive solution is to walk. Cairo was formed and developed by so many architects and engineers over many millennia that it truly has a disjointed, rabbit hole character of its own. But this charm of interwoven narrow streets and alleys and wide European style boulevards can also intimidate. It is as foreboding as exciting to navigate these labyrinths on foot, and therefore very easy to get lost. We come down on the exciting side of the equation, and heartily recommend you welcome the almost certainty of getting lost. There is no better place to start this gumshoe exploring than the Island of El Gezira. 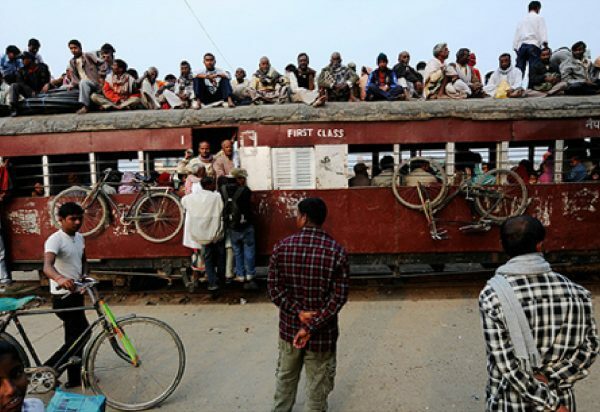 Situated in the middle of the Nile, the island serves as a safety net from getting lost in some dicey neighborhood. It is just over two miles long and half a mile in with, and is an easily digestible neighborhood chock full of vibrant life to explore. Starting at the Northern side of the island would place you right in the heart of some of the prettiest neighborhoods, and the best food, in Cairo. 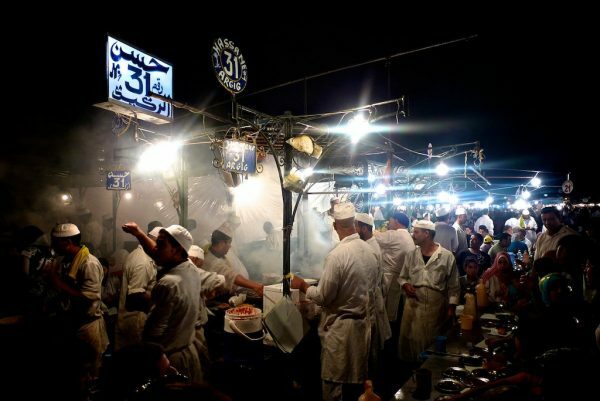 This part of El Gezira has the highest concentration of restaurants in the city and numerous boutiques and shops. If you feel like a swim and to escape, momentarily, the sun, go to GSC Pool Pergola, one of the best swimming spots in all of Cairo. Elsewhere on the island you should walk to the El Zohria Garden, a botanical Mecca, and to the famed Cairo Tower, for many years the tallest building in North Africa. Another day, another walking adventure. A stroll across one of the South Eastern bridges from El Gezira to the mainland would place you squarely within Coptic Cairo, also known as old Cairo. In this area nestled close to the river you can find all sorts of museums not to be missed and absorb the history of the oldest part of Cairo. Although this is a (delightfully) tricky to navigate, almost maze-like district, it is one of the most laid back areas of Cairo. A significant amount of Cairo’s nightlife is located here (so maybe everyone is just sleeping in?). So after taking in the extraordinary architecture and tightly lined up shops, come back at night and see the streets bustle with a different energy, and check out any of the clubs along the Western side of the river. Walking Cairo is going to be at least a bit intimidating for someone not used to the city. Surrender to it! Ease into the warren of mazy neighborhoods with a visit to Muizz St. 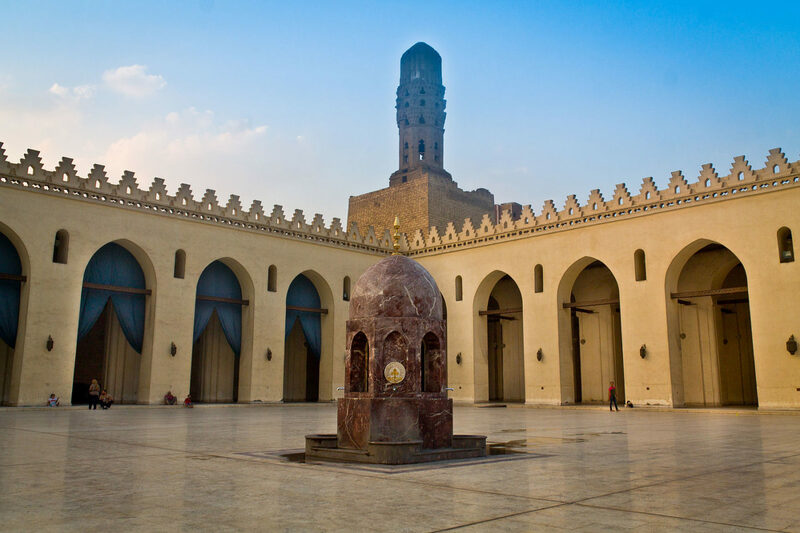 Starting at the Masjid Al Hakim, Muizz St is only about a kilometer and the oldest street in the Islamist District of Cairo. It’s also the oldest street in city. And it has the highest concentration of medieval Islamic art and architecture in the world. After walking the short length of Muizz, you’d be pitted with two decisions: within 5 to 10 minutes of walking distance is the Khun El-Khalili Market or Al Azhar Park. 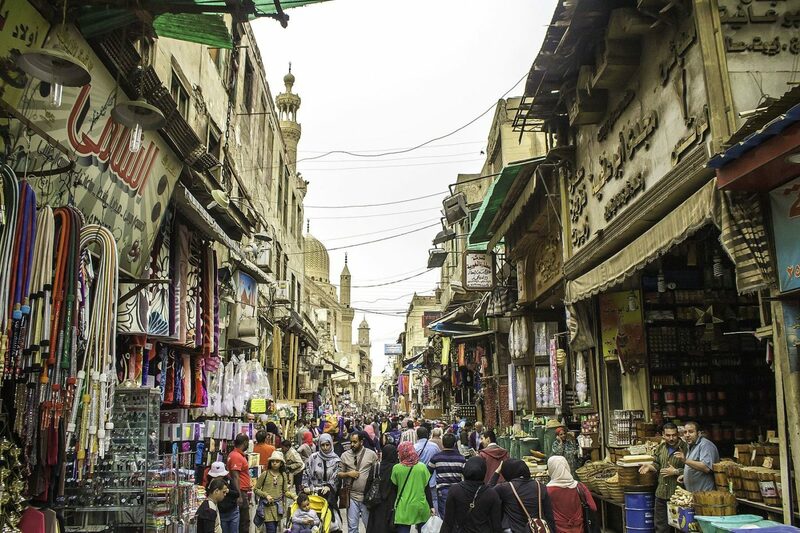 The first is the sort of bartering-encouraged Egyptian market you’ve always heard of, with wonderful wares and a senses-overwhelming shopping experience. This is not a flea market. Bargain for everything but not to the point of not buying something you love! Walking through Khun El-Khalili is like walking back in time with so much of the original architecture intact. The majority of the merchants are native Egyptians. While this area has become a little geared to tourists over time, it retains its authenticity, because it was around centuries before tourism and is frequented by more natives than the likes of you and I. A short walk away from Muizz and the market is Al Azhar Park. Upon entering the park you would be treated to a view of Cairo like no other. A lush green oasis in contrast with Cairo’s arid and reputation and sand colored streets. Peeking through the palms you can catch glimpses of distant Masjids (mosques in Arabic) of Islamic Cairo as well as a birds eye view of much of the city. Beginning with the clearing of 500 years of rubble, construction on the park began in the 1980’s, allowing it to blend old and new with exquisite care, which has garnered it a spot on the list of the sixty greatest public spaces in the world by the Project for Public Spaces. With integrated water features and its close proximity to the Muizz street and the Khun El-Khalili Bazaar, Al Azhar Park would be well worth the visit. If you are looking for one last great place to check out — and there are many more and you could put your finger on almost any neighborhood of the city and have a magical and memorable day exploring it on foot — a little out of the way in Southern Cairo lies the Al-Maadi neighborhood. 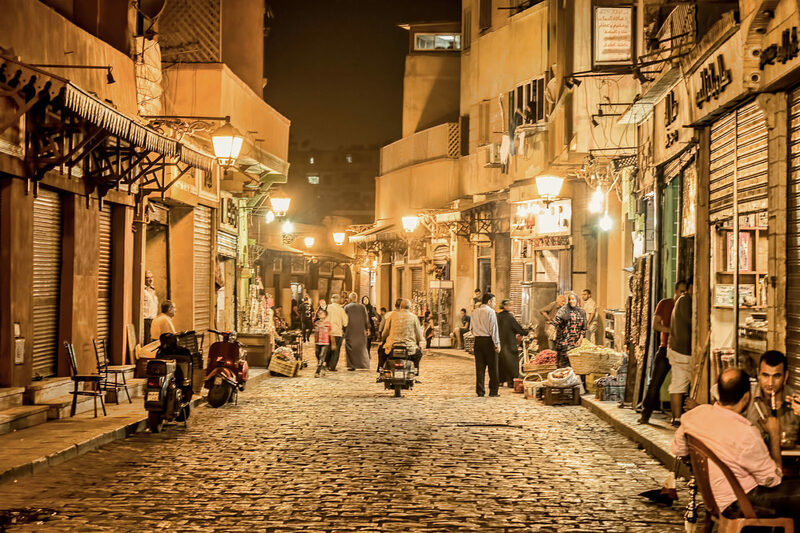 Along the enigmatically named road 9 lies rows of exquisite local boutiques and larger shops, and restaurants and tea shops, for those looking to immerse themselves in far more contemporary Egyptian surroundings. As a rather upscale neighborhood, a simple stroll here is a thrilling way to see hidden gems of historic buildings alongside modern boutiques, giving the intrepid adventurer (you) a bit of both worlds.